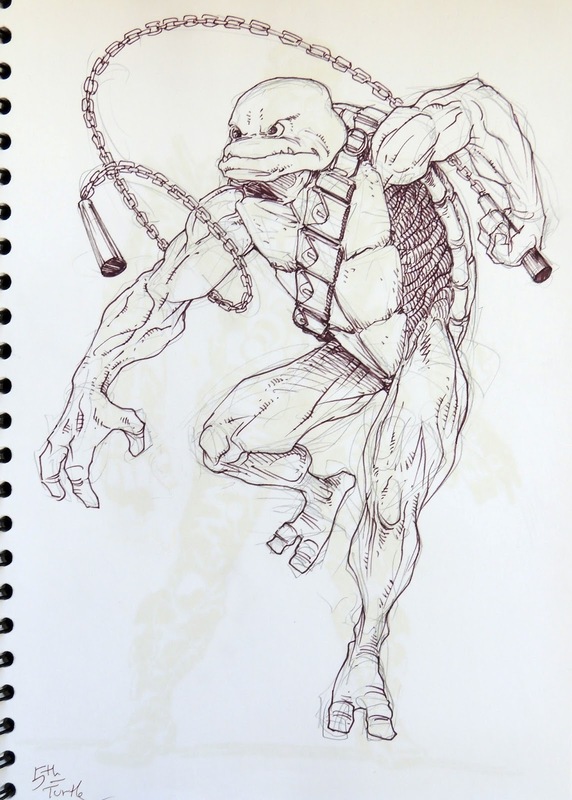 Cool concept design. This would probably be my preferred design if the movie and this came into recent light. The weapon is also called a kusari-fundo, correct me if I'm wrong, which is actually pretty awesome. 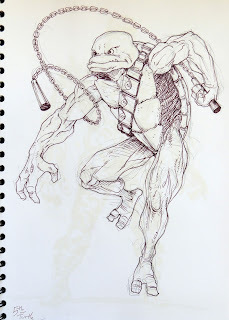 If I recall correctly from my TMNT & Other Strangeness RPG days, that weapon, a chain with two weights on the ends is called a Manrika Gusari. Ahh pouch covered utility belts over the shoulder, how 90's! Really enjoy the Blog Peter. TMNT for life.